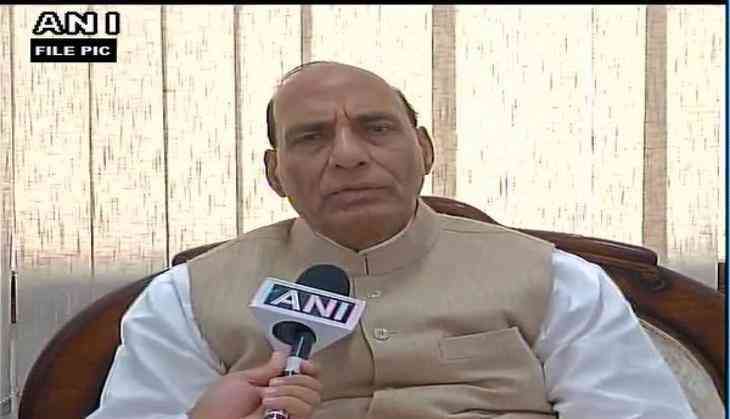 Union Home Minister Rajnath Singh, who is on a two-day visit to Jammu and Kashmir, will be meeting people living near the border areas here on Friday. Singh will be travelling to Kupwara, where ceasefire violation from across the border and other terrorist activities has forced some locals to shift their base over the past few weeks. He is also expected to meet those living in the border areas in Jammu. On Thursday, Rajnath, while addressing a press conference, had stated that the Centre won't allow any obstacle to come in the way of its mission to ensure lasting peace in Jammu and Kashmir. "I would like to repeat that no matter how many obstacles come in our (Centre's) way, we will not be deterred in our aim to bring lasting peace to Kashmir," he said. Singh also expressed his dismay about Pakistan's repeated violation of the ceasefire along the Line of Control (LoC) during the holy month of Ramzan, despite Prime Minister Narendra Modi's Suspension of Operation order to the Indian side. Prasing the armed forces and Jammu and Kashmir Police, he said, "I have no hesitation in saying that our security forces, including the army and police, have worked with utmost restraint."